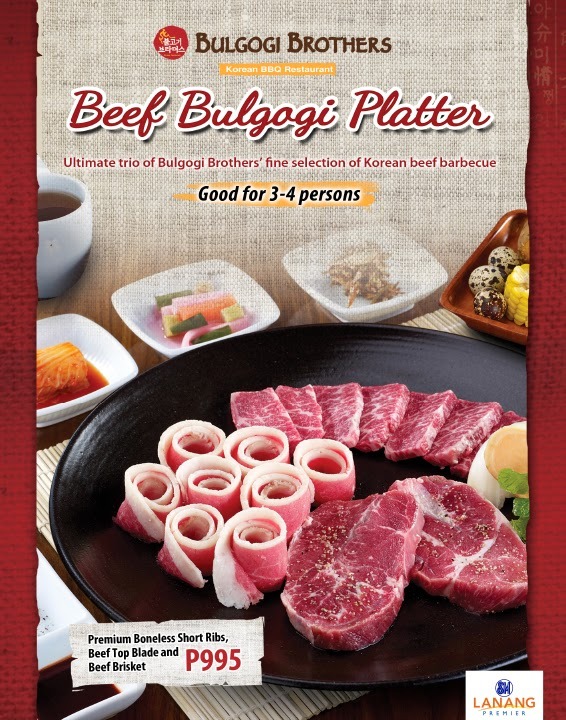 Bulgogi Brothers launched the Beef Bulgogi Platter last December 1. 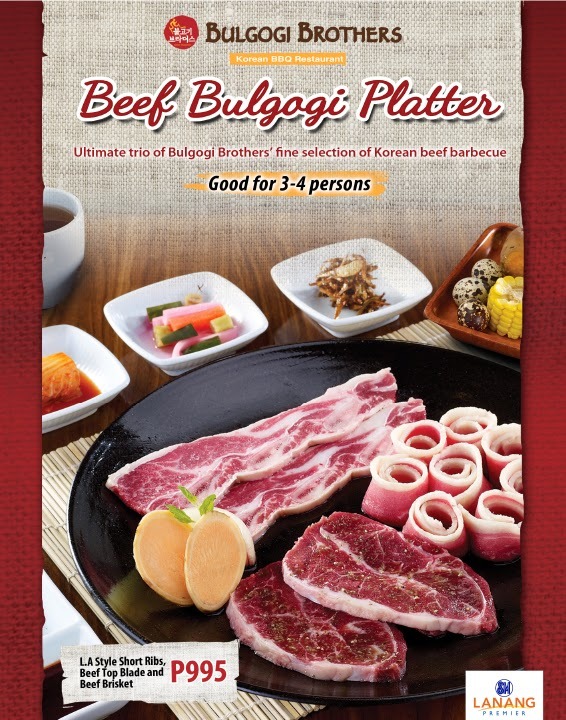 The Beef Bulgogi Platter is the ultimate trio of Bulgogi Brother's fine selection of Korean beef barbecue. It will be available everyday from December 1 to January 31, 2014. This can be shared by group of 3-4 persons, best for families and friends.